My home is a constant work in progress (but whose isn't?). When my boyfriend and I moved in he told me that I could do anything I wanted--which was exciting and daunting at the same time. Since we live in a charming little cottage I decided this is the time I could really decorate with all my favorite vintage and feminine details. Our next home will be a mix of both our styles and more modern, but for now I love living out my girlie side. Our office has been a challenge to decorate (inspiration here). It's the only room with a big closet. So, it's also our dressing room. It's filled with eclectic pieces all trying to work together. But I have finally reached stage one. I can't wait to share more as I work my way to the final stage! Update: I will not be posting this Friday because I will be participating in For Japan with Love with Utterly Engaged this Friday 3/18 for a day of silence. My heart goes out to Japan and everyone connected to this tragedy. Please, join me this Friday and help donate. Absolutely love it! And how fun, that you decorate this home in a romantic and girly way! Omg I love!! How funny I was just watching th royal tennubaums! And I'm sure I'll watch Breakfast at tifanny's this week too. I love all the details it looks fabulous! Every girl needs her own creative space!! I love the feminine details, and even if you do move at some point don't lose that entirely. Pretty apartment! Such a great atmosphere! Taylor, I follow many bloggers and I've been a fan of yours for a while now. But I've noticed that while almost every single one of my fav bloggers have at least mentioned the tragedy occurring in Japan, you have not. Not even on twitter. And the silence is deafening and certainly disappointing. I hope you realize how much online influence you have, and that sometimes it should be used for a greater good. Love the fab glitzy feel- especially the sleep mask and sparkly shirt! 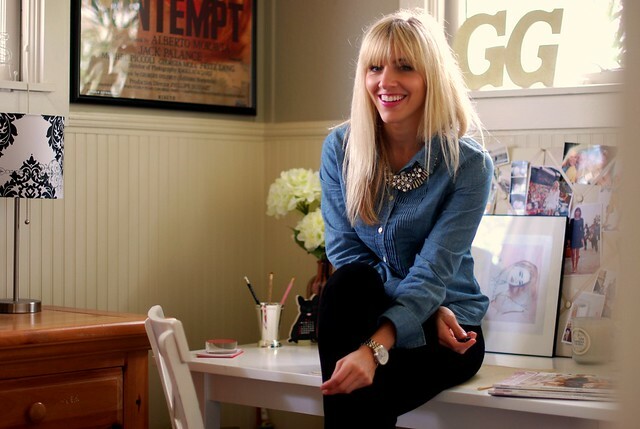 Absolutely lovely - your office looks completely functional, yet so chic at the same time. And that J. Crew sweater is PERFECT! What season was it from? Hi Taylor, your office looks great! it is so cute! i love the mixture of really girl things vs cutesy things. i realllly love those matches w the moustache on them, they are so silly! I love all the little details, the cute tray, the margot tenenbaum print - it's so girly and fun! You're doing a great job! It's super important to be inspired in the place you sit and work. Loving the art work! is domino still published? 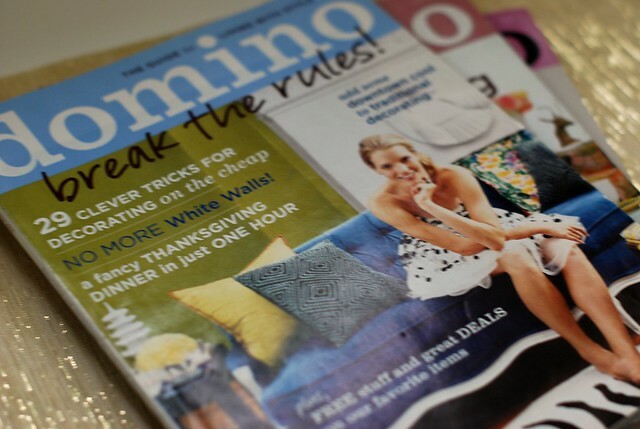 That was my favorite home/decorating inspiration mag and I was so sad when it was discontinued along with shop etc. Love it! Especially the mustache matchboxes!! Such a cute and functional room...my boyfriend and I are about to move into our first place together, and it's totally daunting! I don't want it too girly for his sake, but I also don't want to feel like I'm living in a bachelor pad! You did a great job! Cute and cozy. Your office has to be some place you enjoy and feel comfortable, or else you'll never want to go in!!! Love it! @Anonymous I have mentioned it on Twitte-- but it has all been on my Glitter Guide page. I don't usually respond to comments like this, but I wanted to make sure I addressed it. I guess I should have had some come from here too. I would never be silent on purpose. I definitely will say something. what a lovely room to work in - it's perfect!! Beautiful office, Taylor. Definitely an inspiration for what I'd love to do for mine in the future! Love your blog. such a lovely and relaxing space! I love all the girly feminine details!! I love the candle;) Voluspa is a great line. Thanks everyone! Still have a lot to do to it! @trang no Domino is no longer around. I just have a bunch of saved copies that I treasure! That blue shirt looks stunning on you. that paperdoll print is just tooo cute and clever!! what a gorgeous and inspiring office space! love it! I love that you use a sleeping mask. So fun! Gorgeous photos of a gorgeous and well thought out room. Will be participating with the blog day of silence. Every little bit counts. that room is so inspiring!! i don't think i'd get any work done there, as i'd be constantly looking around, admiring what a nice room it is. the framed paper doll set is such a fun touch, and i love the silver pencil holder.. so many pretty details. Loving the little touches of artwork. The mustasche matches are cute too! good work! You are gorgeous! 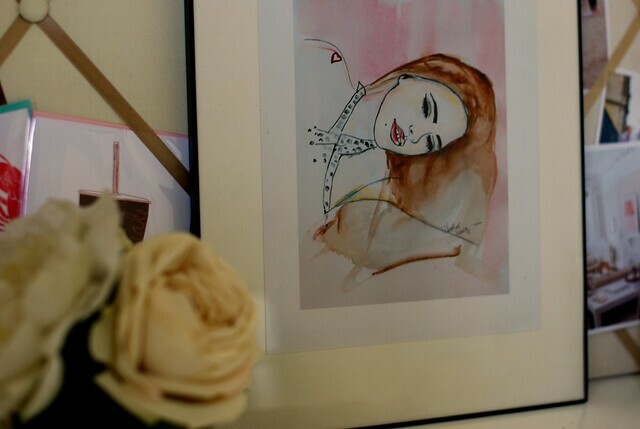 I love that drawing, so pretty and such a great piece to have around the house for inspiration! i want to live in your office! Your office is lovely! And the ink drawing is gorgeous. Taylor! I LOVE your office--especially that "neverending to do list". haha i need that! And you are so smart for saving those old copies of Domino. :( I wish I had that kind of insight back then!! Your office is so cute. I love the little corners of inspiration, like your photos and tray of perfume. When I moved into my place I think decorating my desk was one of the best parts. 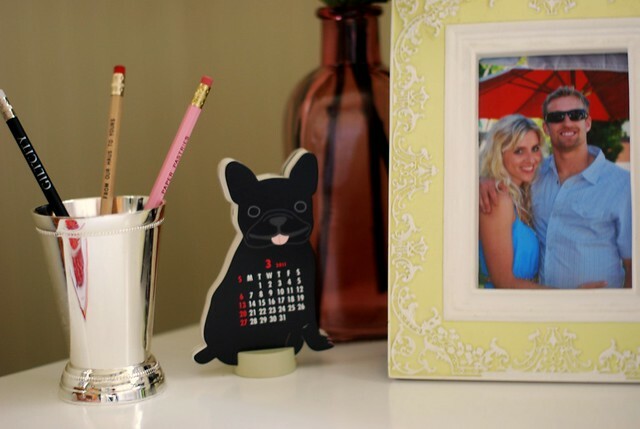 i'm especially loving the french bulldog desk calendar. where on earth did you find such cuteness? I think "a work in progress" is always much more fun, than you never have to finalize it...I continue to redecorate my mantel, sometimes weekly even! I love the GG in the back. Thanks ladies. So true Priscilla. This is amazing!! I want your office. Can't wait until i have a bigger space to decorate. I love what you've done with the office. 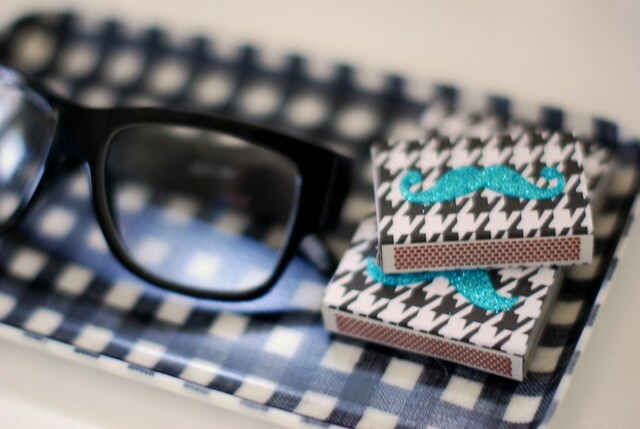 I've been following your stylish blog every since you ordered my turquoise mustache matchboxes!!! LOVE the way they look in your workspace, and totally honored to see them on here! Your blog is totally intersting and fun, I have it on my "to-do" list to try that banana, pear and spinach shake! I hope it's okay, I'm going to mention your blog post on my blog... so proud my matches have such a stylish and sophisticated home! @Emily-- ooh thank you!! I saw them on Matchbook Mag's Tumblr and had to have them-as you may know I love anything that sparkles and I am into mustaches--so it was perfect! I hope you sold some today. Someone tweeted they bought some! I'm heading to your blog now! Thanks! PS, Try that smoothie! SO good. What a fun, pretty space! So inspiring and beautiful. I did!!! Thank you so much for sending some business my way!!! 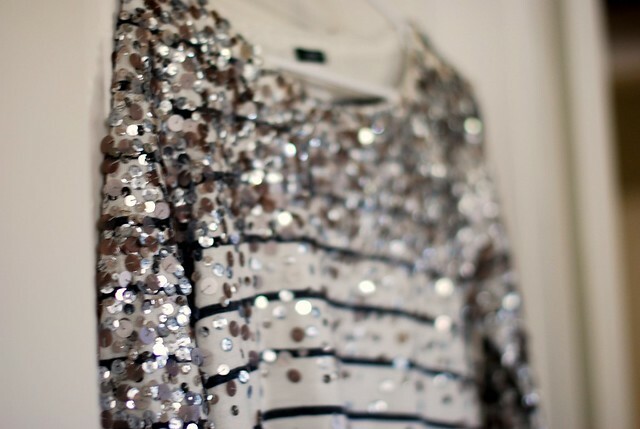 From one glitter lover to another! haha! that never ending to-do list notepad has my name all over it. 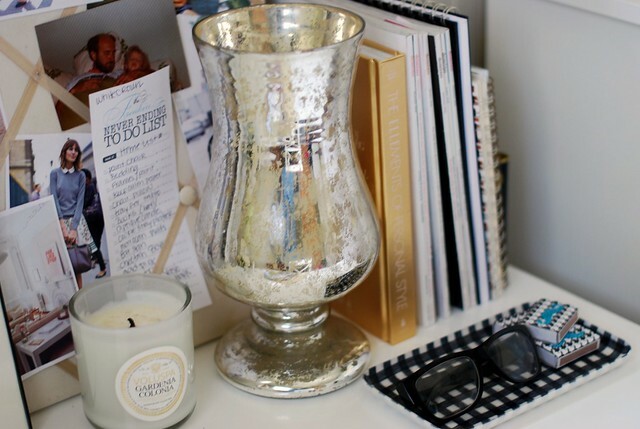 love your girly office accouterments! @Heidi trust me I feel you most of the time. It gets expensive, but there are ways to save. Cute dog calender and I love the paper doll print. What a pretty office! I love how feminine it is without being saccharine. Thanks everyone! I love my new details and can't wait to keep working on the rest of my place! too fun! Your office looks amazing! I am so jealous..
aw i love your little puppy calendar! This is literally and without a doubt my favorite post you've ever done. I LOVE LOVE LOVE everything in this room and how random it all is but how PERFECTLY it all goes together. I LOVE the matchbook, the tray, and the silver vase. I want everything!! Please post more random stuff posts like this! I think they're fantastic!! What a nice spot filled with beautiful things! Loving your blog! I'll keep on diggin'! @meghan I will make sure to post more! :) Thanks! So envious! I wish I had an office like this. Alas, I am one to have a desk that looks like a tornado riped through it. i love it! everything is perfect!! what a beautiful space, t!